So when Old El Paso asked me to be their brand ambassador for the next year, well, how could I say no? It just gives me an excuse to make even more of my favorite Mexican-inspired dishes to share with you all! And to start things off, I just had to share my favorite Mexican comfort food lightened-up. 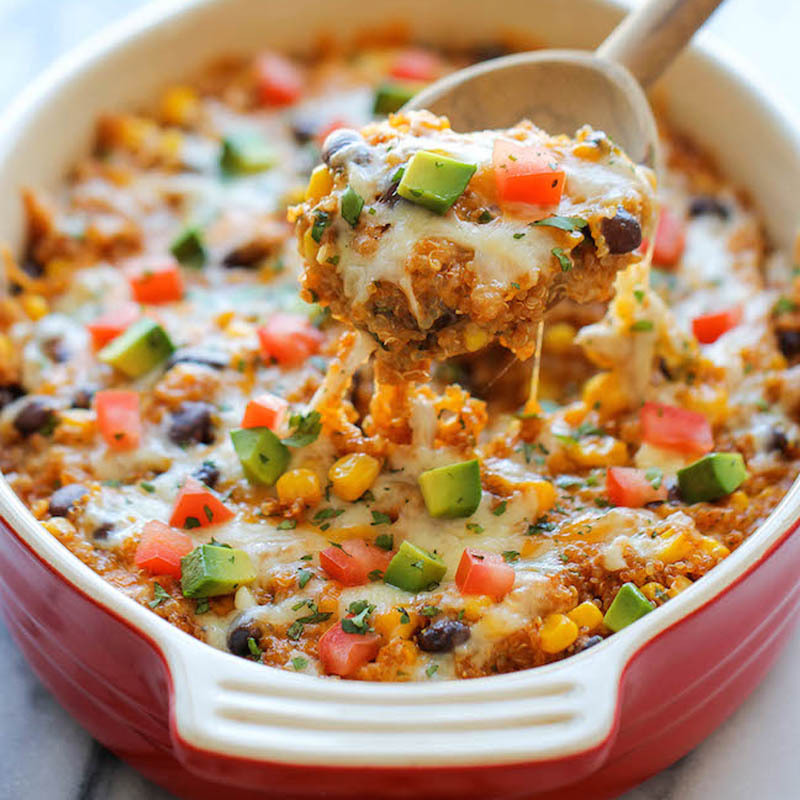 Now this is a super easy enchilada bake with quinoa instead of tortilla. By using quinoa, we’re adding in some fun healthy goodies, like protein and fiber, and there’s absolutely no rolling or wrapping of any kind. You can simply throw everything into a bowl, mix it up, and bake it from there. Yes, it doesn’t get easier than that! After you let this bake through, you’ll have the most amazing cheesy enchilada bake! It’s so good, you’ll never want to have traditional enchiladas ever again!